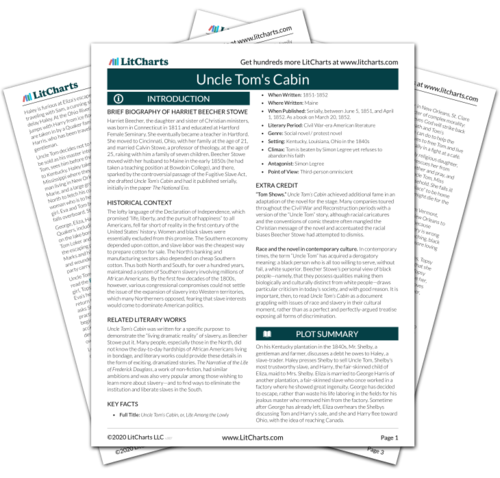 Instant downloads of all 942 LitChart PDFs (including Uncle Tom's Cabin). A fair-skinned black woman, Cassy has lived a life of misfortune, moving from one man to another but managing to learn to read and write, to speak French, and to gain knowledge of the Christian faith. She is sold to Simon Legree and exercises a great deal of control over his estate. She comes to care for Tom, who inspires her, by his spiritual strength, to attempt an escape with Emmeline. 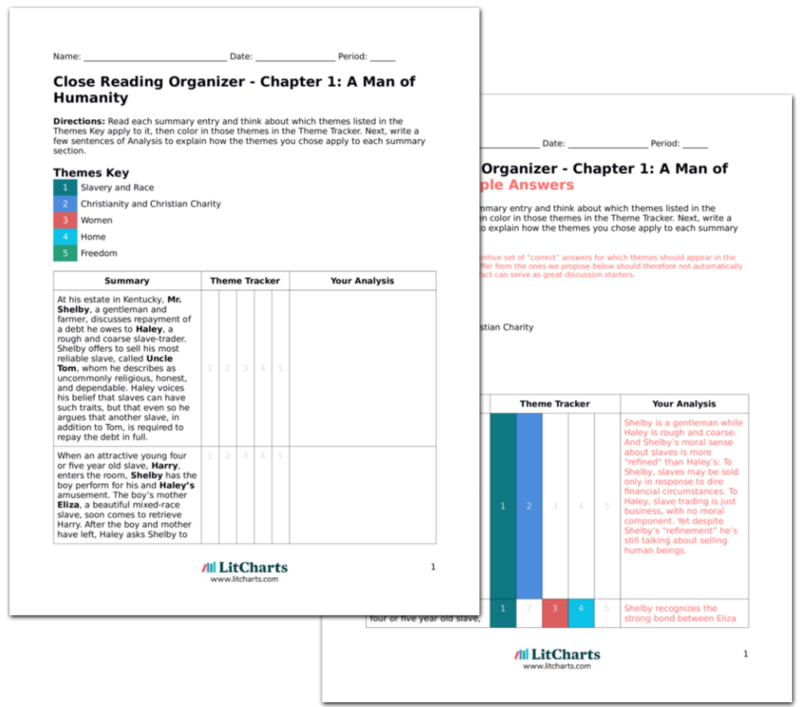 Get the entire Uncle Tom's Cabin LitChart as a printable PDF. The timeline below shows where the character Cassy appears in Uncle Tom's Cabin. The colored dots and icons indicate which themes are associated with that appearance. Schlegel, Chris. "Uncle Tom's Cabin Characters: Cassy." LitCharts. LitCharts LLC, 17 Sep 2013. Web. 29 Mar 2019. Schlegel, Chris. "Uncle Tom's Cabin Characters: Cassy." LitCharts LLC, September 17, 2013. 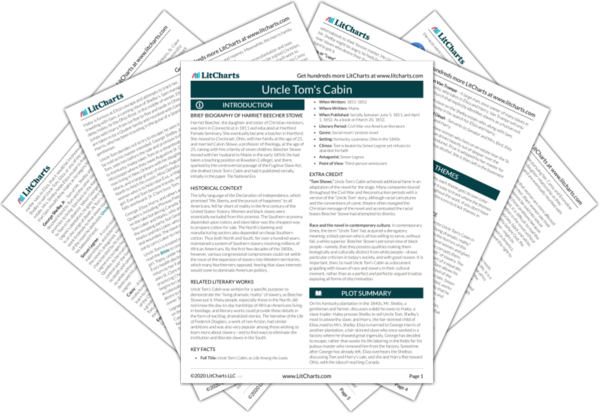 Retrieved March 29, 2019. https://www.litcharts.com/lit/uncle-tom-s-cabin/characters/cassy.